On Site Drapery Cleaning, Inc. is a family owned and operated business founded by Joe DeShayes in 1981. Based on advice from many friends and colleagues in the healthcare industry, Joe Deshayes saw the need for a comprehensive cleaning service of privacy curtains and window draperies in the healthcare field. What started as an in-home drapery cleaning service, soon transitioned to the full service cleaning of privacy curtains and window draperies for all healthcare facilities. Joe DeShayes became a charter member and founder of the formally named American Society for Healthcare Enviromental Services (ASHES). Now they are known as the Association for Healthcare Environment. Joe's character and integrity as an honest businessman are the bases on which the company currently operates. The company is currently owned and operated by his son, David Deshayes, who has since expanded the companies' scope of services to include the fabrication and installation of a multitude of new products, including new cubicle curtains, draperies, valances and cornise boards, roller shades, mini-blinds, vertical blinds ect. On Site Drapery Cleaning, Inc. is proud to be a registered distributor and installer of some of the nations leading window treatment manufacturers. We work with some of the area's most acclaimed construction and design firms on projects that continue to shape the business world around us. On Site Drapery Cleaning provides the best quality of service in the industry. Our private facility is equipped with highly efficient machines, which allow us to service a high volume of curtains and draperies in a single day. Our high tech dryers feature steam injection and an alternating rotation to help eliminate wrinkles in the fabric. 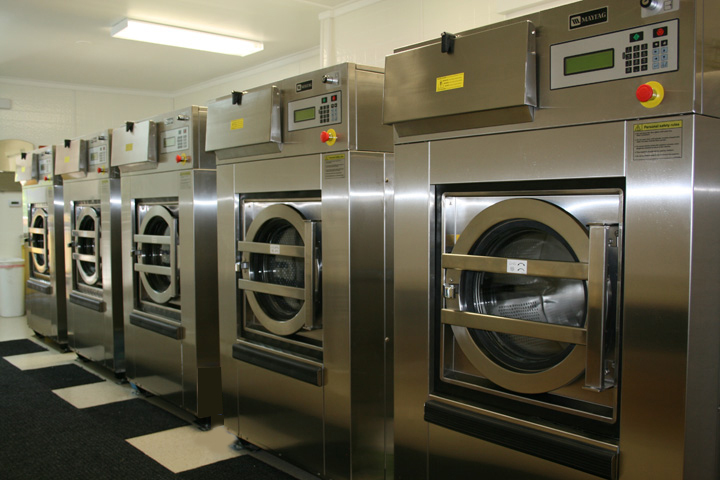 Unlike large laundry facilities that comingle various materials (such as privacy curtains, mop heads ect) together in the same washing machines trying to reach production goals based on quantity, we are focused on quality. We specialize in the cleaning of privacy curtains and draperies, and only these materials enter our washing machines. Our same day service ensures your curtains are the top priority, thus eliminating the threat of cross contamination with other materials as well as the loss of your materials, both of which are common at large laundry facilities. On Site Drapery Cleaning Inc.
Family Owned and Operated since 1981. "The Drapery and Cubicle Cleaning/Installation Specialists". Copyright 2010 On Site Drapery, Inc.